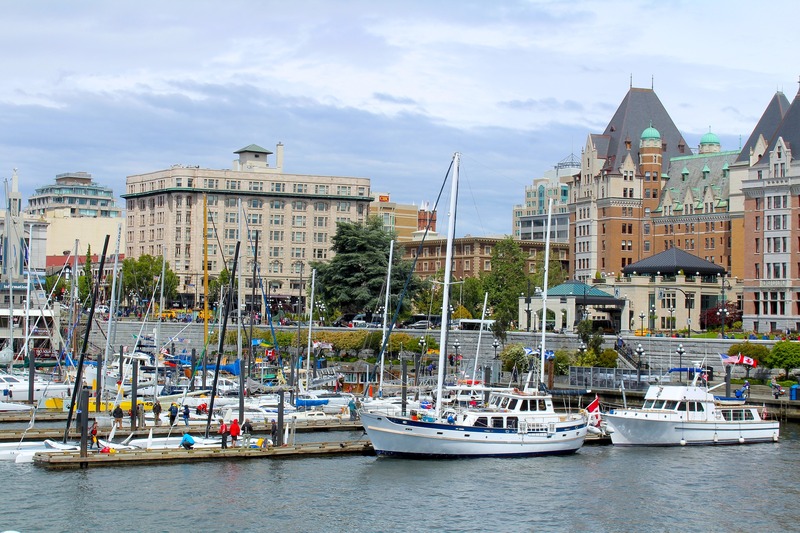 Home » Governance » Can British Columbia be a Model for US Regional Governance? Can British Columbia be a Model for US Regional Governance? Local government fragmentation in US metropolitan regions has been widely recognized as a critical problem with seriously adverse consequences impeding the ability of the region to engage in actions that would be beneficial to the region as a whole. Despite this recognition, the problem has proven nearly impervious to effective solutions, although partial remedies such as single-purpose regional special districts, inter-local agreements, and planning and discussion forums such as Councils of Government (COGs) and Metropolitan Planning Organizations (MPOs) abound. Yet in many other countries – including most proximately Canada in the province of British Columbia – the widespread use of multi-purpose regional special districts provides a possible model for a successful and improved response to regional governance in the U.S. The Canadian model, in particular, appears to address effectively the major roadblock to regional governance in the U.S., namely the fear of local governments that they will lose their autonomy and not be able to pursue their own interests in the presence of a regional government institution. Problems of fragmentation are not unique to the United States. The international literature indicates that concern with fragmentation is increasing (see OECD 2015; also Hulst, Rudie and van Montfort 2007, and Lidstrom 2016) as are efforts to cope with problems that result from fragmentation. The most promising such effort is the multi-purpose regional special district (MPSD), a common institutional mechanism for achieving inter-municipal collaboration in service delivery in several countries, including Canada (British Columbia), Spain, Italy, France, the Netherlands, in Germany (particularly the Stuttgart Regional Association), and Belgium. Multi-purpose regional special districts operate at a regional level or cut across governmental boundaries that cover a significant portion of a region. The defining characteristic of MPSDs is that they deliver two or more services rather than a single service as characterizes most special districts in the United States. In exploring the possibility of the relevance of multi-purpose special districts for the United States, my focus is on regional districts in British Columbia, Canada This focus results from both the relative longevity and stability of RDs as institutions (they have existed now for more than 50 years), but also because of their existence in a reasonably similar context (a subnational government in a federal system with a strong local government system) and their accessibility, both geographic and linguistic, to the United States. The key characteristic of British Columbia Regional Districts is that they are built from the ground up and are legally voluntary in nature. British Columbia Regional Districts are entities set up under a 1965 provincial law that provides for the voluntary establishment of districts comprised of municipalities and unincorporated areas in the region (Cashabank 2001). A regional district is a vehicle for delivering services to some or all of the region. The largest of the RDs is MetroVancouver. The regional district board (which consists of members appointed by the member municipal councils, with representation and voting rights determined on a population-weighted basis) determines which services to deliver and to which geographic areas. The key characteristic of RDs that makes them particularly attractive to the United States is the relationship of the individual local governments in the region to the RD. Participation is voluntary. Individual municipalities can determine whether or not they wish to be a member of the RD (in fact all municipalities have agreed to do so, partly as a result of encouragement by the provincial government, but presumably mostly as a result of their calculation that the benefits of membership far outweigh the cost). Once a member of the RD, individual municipalities can also choose to opt in or opt out of each service. This opt-in, opt-out feature assures municipalities that they retain control of their own destinies and serve their municipality’s interests. It is this feature that makes the arrangement so attractive for the United States, since the major political barrier to greater inter-local and regional cooperation in US regions is the fear of local governments that institutions set up to achieve such cooperation will result in a significant loss of their local autonomy and a reduced ability to pursue their interests. .
Each service is separately funded, and the full cost (including a portion of general overhead) must be paid for each year. Operating budget deficits are not permitted, and revenues from one service fund cannot be shifted to pay for a deficit in another. Individual services provided by the RD are financed through user costs and, where that it not possible, through a property tax, with the tax set, to the extent possible, so that it fully incorporates (but does not exceed) the benefits received by residents of the individual municipalities and rural unincorporated areas (fiscal equivalence). The tax is not actually imposed by the RD, but the amount is requisitioned from the municipality sent to the RD. Revenues also cover the administrative costs of the RD staff. For services that are regional public goods in nature or that cover the general overhead and staff costs of the RD, the cost is covered by imposing a tax rate that is necessary to cover the full cost. There is near unanimous agreement in both the literature and among the individuals interviewed that RDs are perceived to have been successful in increasing inter-municipal collaboration and that the resulting increase has resulted in greater efficiency and effectiveness (although formal and rigorous evaluation studies are lacking). In particular, regional districts are perceived to have made inter-municipal collaboration easier to occur through the establishment of a template for inter-municipal agreements that serves to reduce transaction costs. Robert Bish, a long-time observer of regional districts writes that a major advantage of the regional district system is that it provides forum and a template that reduces the cost of negotiating benefitting area agreements, partly because voting rules were fixed and a default financing rule has been agreed on. Compared to the present US system, which is dependent largely on single-purpose special districts and on negotiated inter-local agreements to address concerns that cross jurisdictional boundaries, multi-purpose special districts such as RDs have the potential to achieve greater inter-local cooperation and collaboration as well as cost savings and improved coordination across functional silos. They could prove particularly useful in facilitating more negotiated agreements among subsets of jurisdictions in the region and in increasing regional service delivery where all (or nearly all) local governments agree that the benefits to them of regional services exceeds the cost. For more on the actual mechanics of Regional Districts in British Columbia and differences between that British Columbian context and the context of metropolitan areas in the United States that would have to be taken into account in actually adapting and transferring multi-purpose regional service districts to United States metropolitan areas, see my article in UAR. Hal Wolman is Professor of Political Science, Public Policy and Public Administration, and International Affairs at The Trachtenberg School of Public Policy and Public Administration at George Washington University.